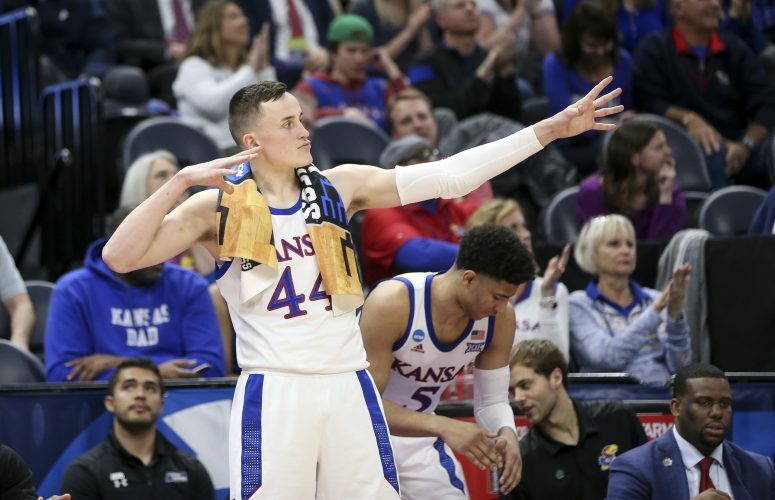 While much of the weekend in Lawrence was about former KU basketball players moving on — Devonte’ Graham, Svi Mykhailiuk and Clay Young all walked down the hill at graduation — a handful of potential future Jayhawks were busy trying to put their best foot forward elsewhere. With Nike’s EYBL event in Atlanta taking place over the weekend, a lot of top prospects in the Classes of 2019 and 2020 were evaluated and talked to about their futures by the gang on the recruiting beat. Not surprisingly, KU was a program that came up quite a bit with some of the best players in both classes. Here’s a quick rundown of who said what over the weekend, as the push for prospects in the 2019 class started to heat up even more. It seems as if the big decision for Lecque at this point is whether he will stay in the 2019 class or try to reclassify and join the 2018 crew. In an interview with Eric Bossi, of Rivals, Lecque said he was more worried at the moment about getting back home and working on his game this summer while discussing his options with his family then. The rising point guard from The Villages, Fla., has recently visited Florida and Tennessee and, according to Bossi, appeared to be zeroing in on making a decision between those two programs and maybe one or two more. 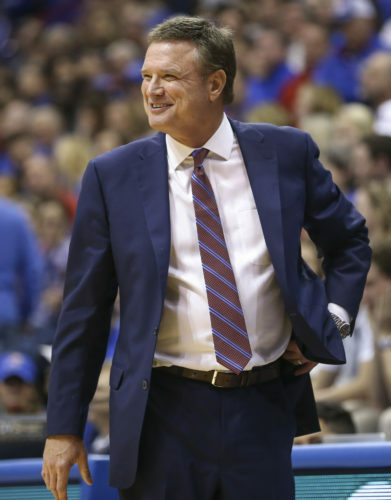 But a recent offer from KU inspired Mann to tap the brakes and now Mann is very interested in checking out what Kansas has to offer. Asked specifically about KU jumping into the mix, Mann made it clear that he was interested. There is no shortage of interest in the smooth wing from Rockwall, Texas, whom Bossi said made the game look very easy during the recent EYBL event in Atlanta. KU, Baylor, TCU, Oklahoma and Texas are all showing heavy interest in Williamson, and that’s just in the Big 12. Outside of the region, Michigan, Ohio State, Louisville, LSU and others also have shown heavy interest. 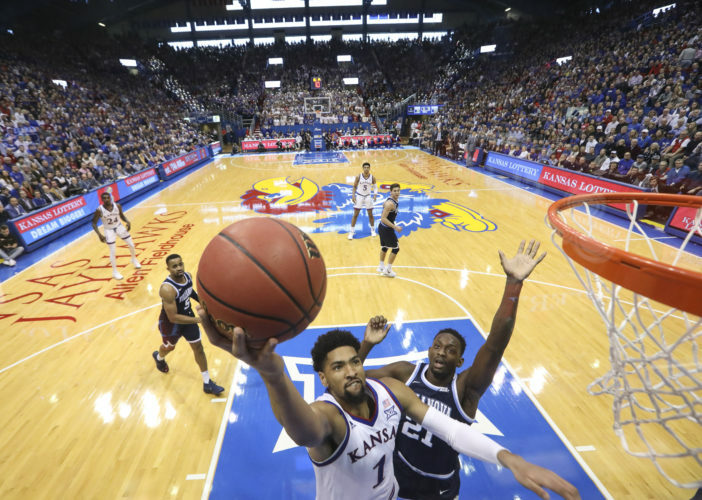 While it remains early in the process, Williamson shared with Bossi a tie to KU that might keep the Jayhawks in it as long as they want to be. According to Bossi, Williamson hopes to pin down a final five by the end of the summer so he can start taking visits and make a decision sometime in the fall.